Today I'm up on Just Nick Blog sharing a layout I created using one of the new backgrounds in the shop...Stack Em Up Background ! I cut the Stack Em Up Background from white cardstock and back it with patterned paper from Fancy Pants design-Golden Days Collection....Then machine stitched around the edges. 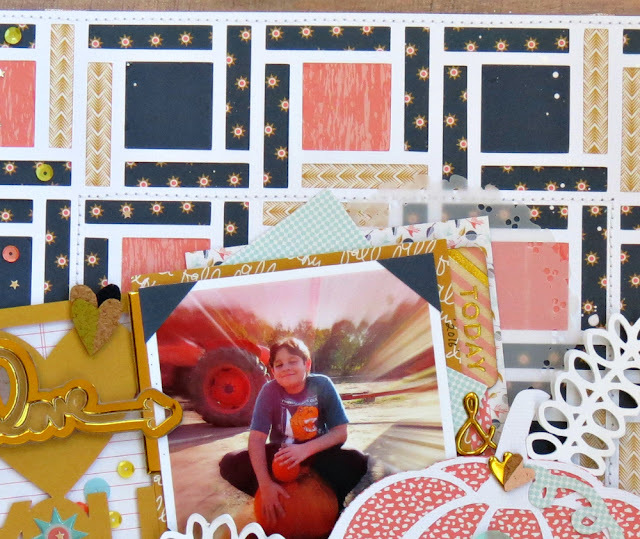 I then place it on top of this wood grain patterned paper, also in the Golden Days Collection! 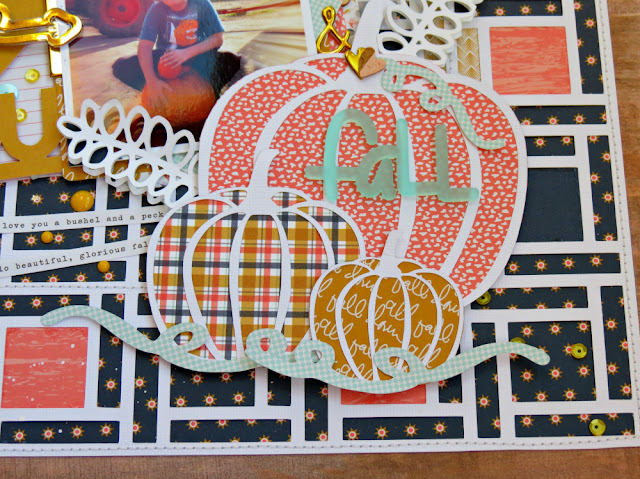 Now, I couldn't resist using the PUMPKIN and leaf icon in the Sight Of Fall cut file! For the leaves I cut four out of white cardstock, I stacked one on top the other and glue it down the middle. 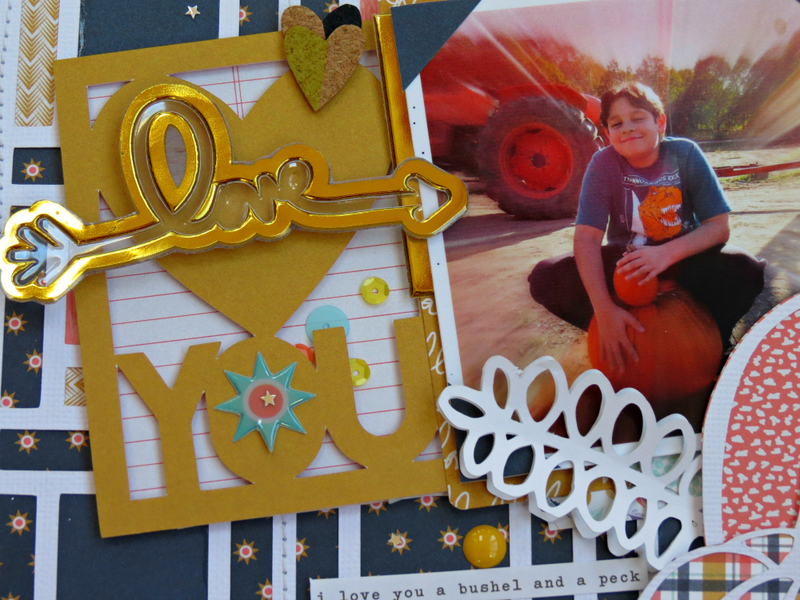 For my title I used another cut file, the heart you from the Pocket Cards 1. To add a little more texture and interest to the title, I added some puffy stickers also from the golden days collection. After I was finish with my page, I decide to add one last cut file, Floral Doilies which I tucked underneath my photo! Remember to check out the shop to see the new cut files each week! 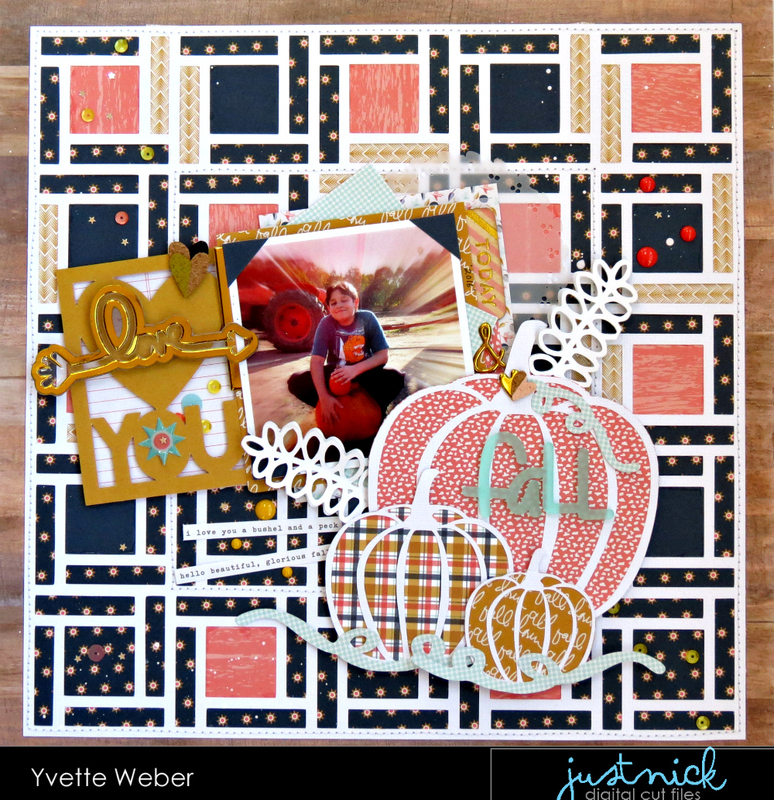 My Creative Scrapbook | November Sneak Peeks!